There are many ways to synthesize music, and the easiest is to just use computer software to generate sounds and use them to compose a song. But, if you care about quality, hardware synthesizers are much more desirable. You can purchase standalone synthesizers, or build an entire orchestra with a modular platform like Eurorack. The Eurorack format is designed for assembling modules from multiple manufacturers into a single case. 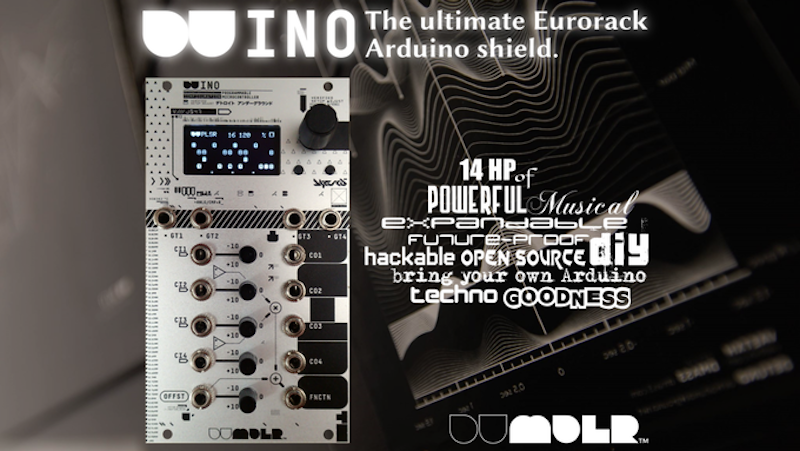 With the DU-INO Arduino shield, you can build your own custom Eurorack module. The DU-INO Arduino shield was created by Detroit Underground’s Aaron Mavrinac. 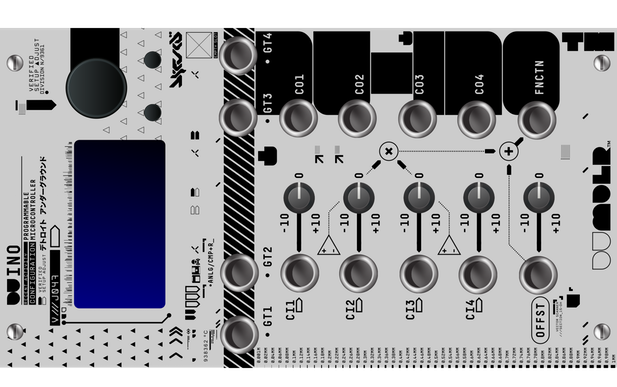 Detroit Underground has already developed a number of Eurorack synthesizer modules, but they’ve all been intended to create a specific kind of sound. For example, the DU-RDT generates sounds using sequential logic functions. The DU-INO, on the other hand, utilizes an Arduino Uno to create custom sounds from the code you upload. Multiple DU-INO modules can communicate with each other via I2C, and each shield has the hardware to help the Arduino generate sound. That includes an OLED screen, rotary encoder, push buttons, and the input, output, and trigger CV jacks to connect everything up. The inputs have 12-bit ADCs (analog-to-digital converters), and the outputs have 12-bit DACs (digital-to-analog converters). Digital Underground has an open source library of code to work with, and the Arduino can be programmed without removing it from the Eurorack or shield. The DU-INO is on Kickstarter until October 7th, and a shield without the Arduino is CA$ 270 (about $205 USD). Rewards are expected to ship in December. Add an Arduino to Your Eurorack with the DU-INO Shield was originally published in Hackster Blog on Medium, where people are continuing the conversation by highlighting and responding to this story.